UPDATED : I first made these hangers for my primary school going child but these hangers would make a fun baby shower activity or a nice gift for a wedding couple or a friend. On school days, I wake my son up at 6am. I lay out his uniform. I try very hard to remember if it is a PE day. At 6am, this can be a difficult task. And I confess, that I um, have gotten the days wrong more than once. This has meant that he has had to do PE in his school shirt. Not the end of the world but it really makes me feel like an awful mum that hasn't gotten my act together. So I recently came up with a solution that pleases my eye. Of course, a post-it reminder would have easily solved the problem but I felt a longing for something a little more permanent. 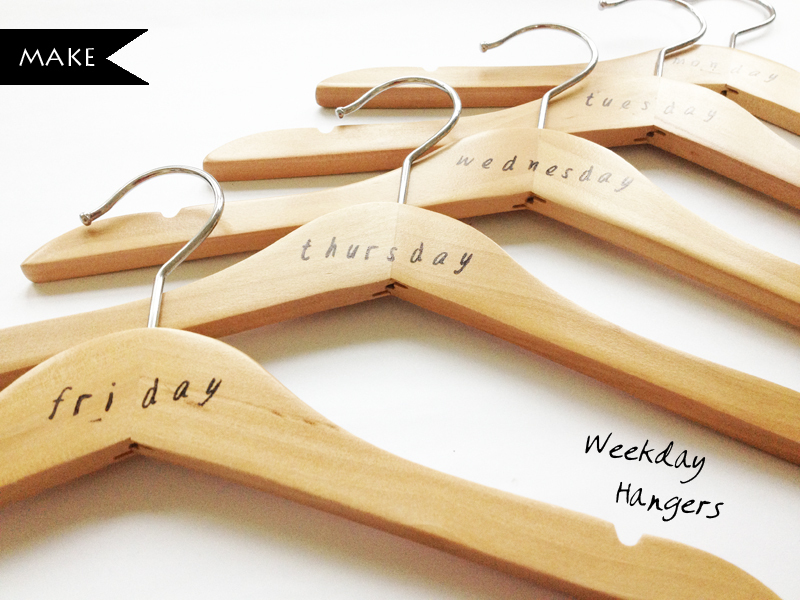 So I created weekday hangers. I simply stuck washi tape on the days that he has PE. Now on Sunday nights, I layout the shirts accordingly after ironing them and then I can forget all about uniforms until the next Sunday comes round. And now I bet I have freed up a little brain space for other bits of random information to be stored too. Which as a mum is incredibly valuable because I find that I have so much less brain space now cos I find myself having to think for me and my kids all the time.